Two Danish aid workers from the non-profit organisation Team Humanity were on Wednesday arrested on human trafficking charges on the Greek island of Lesbos, reports Information. According to the organisation’s chairman Walle El Ghorba, the two men, aged 26 and 33, are now sitting in custody awaiting a trial that could possibly see them get four years in prison. El Ghorba told Information the men were saving refugees from a sinking boat in the Aegean Sea. Allegedly, they contacted the Greek coastguard, but when it did not show up, the Danes together with three Spanish volunteers began to help the refugees onto their own boat. Then they called the coastguard again, this time it responded by escorting them to the island. 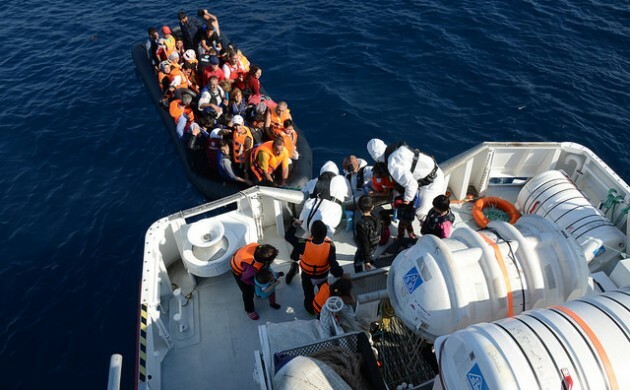 El Ghorba said the NGO had a good co-operation with the Greek authorities and the coastguard prior to this incident. Team Humanity was established spontaneously in the autumn of 2015, when a group of young friends, mostly from Copenhagen, decided to travel to Lesbos to help save refugees from drowning.